Singapore is one of the top tourist destinations in Southeast Asia. Many say that this city-state offers the best of the best no matter what your interests are. Even just a few days visit will make you fall in love with it. If you’re planning to book a trip with your family or friends here soon, why not get a travel package to avoid the hassle and just enjoy the experience. Here are some attractions you shouldn’t miss. No Singapore attractions package would be complete without a whole day visit to Universal Studios. More than just a theme park full of your favourite movie characters, this is a place where people of all ages can definitely have the time of their lives. This is perfect for both families and groups of friends. You can enjoy thrilling rides, feel like a Transformer through a 4D experience and get a picture alongside the Minions. Adventure Cove is the best waterpark in Singapore. You can swim with the fishes in an aquarium, have a thrilling time going down the waterslides, feel fascinated with the wave pool, go tubing, see fishes up close by snorkelling and many more. This is a great destination to have fun with your loved ones, especially during the summer so you could cool down and enjoy the water. 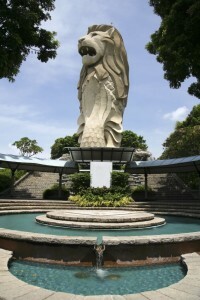 Of course, your visit to Singapore won’t be complete without a picture with the popular Merlion. This is one of the top tourist destinations in the country. The best thing about the Merlion Park is it’s strategically located near other tourist destinations. After taking a picture with the Merlion, you can go to Esplanade, Makansutra, ArtScience Museum, Marina Bay Sands and Gardens by the Bay. These are only some of the destinations that can make your visit to Singapore truly one for the books. Tag your closest friends or the whole family along for a great bonding experience.